Tsuyoshi Kusanagi is cast for the lead role in movie “Typhoon Family” (literal title). 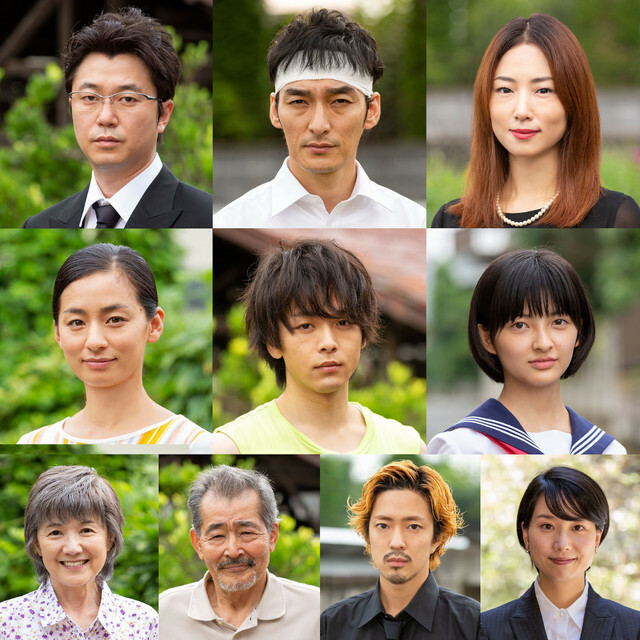 Also cast in supporting roles are Hirofumi Arai, Megumi, Tomoya Nakamura, Machiko Ono, Mahiru Coda, Erika Osanai, Ryuya Wakaba, Rumi Sakakibara and Tatsuya Fuji. The film is written and directed by Masahide Ichii (“Blindly in Love“). Story for “Typhoon Family” revolves around four siblings played by Tsuyoshi Kusanagi, Hirofumi Arai, Megumi and Tomoya Nakamura as they hold a fake funeral for their missing parents so they can divide up their property. Their parents robbed a bank 10 years ago and then disappeared. Filming for “Typhoon Family” took place July, 2018 in Sano, Tochigi Prefecture and Fujioka, Gunma Prefecture. “Typhoon Family” will be released June, 2019 in Japan.